Posted January 16, 2019 by Josette Farrell in News. 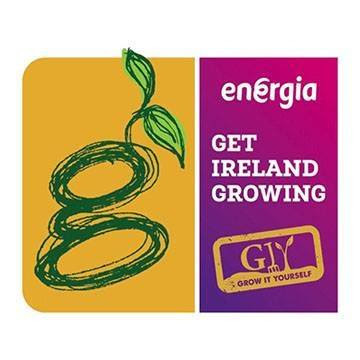 Energia Get Ireland Growing is back again and we want you to apply! We have grants of up to €5,000 for you to apply for. GIY and Energia have teamed up again to give another 86 Communities an important boost with a fund of €75,000! The fund will be split across three categories as you know; Sow €500, Grow €1000 and Harvest €2000. 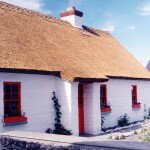 And, for the second year running, one brilliant community growing project will receive €5,000 from The Today Show. We are really looking forward to boosting community food growing again, you all have such wonderful community stories to tell. Last year we had over 700 applications for the Energia Get Ireland Growing Fund. You can see more about some of the successful groups here, but the stories that we’ve captured on are really just the tip of the iceberg. Applications from Men’s Sheds, hospitals, schools, creches, mental health facilities, rehab centers, GIY groups, community centers, allotments, residents’ associations and so many more poured in to us. Some groups had never so much as sown a seed, others were hoping to add a poly-tunnel to their productive garden. Some used the funding to set up beehives or build a pond, others just needed shovels and compost. There was so much diversity in the groups, but their common goal, to grow food, is what makes this initiative so special. If you want to know more about the criteria involved, then please follow this link and it will hopefully answer your questions. If you still have some questions then please get in touch with us, please ring 0864102817 and ask for Síona. PLease ask as many questions as you’s like about the fund. We are very especially excited that the Energia Get Ireland Growing fund will include the additional €5,000 for one very special community again this year, from RTÉ’s Today Show. The Today Show audience will then hand-pick one community group for this amazing prize through a public vote of the top 3 gardens chosen. Film a short 2-minute video and upload it to your own Facebook or Twitter account. You can be as creative as you like in your video as long as it describes your project, who you are, what you do and who benefits from it. Tell us what this grant would mean to your community. You must make sure to tag Energia Get Ireland Growing, @EnergiaGIG on Facebook & Twitter. You must tag RTE’s Today show too, @RTEToday on Facebook& Twitter. Use the hashtag #GetIrelandGrowing in the description of your video. Tell us all about your project. We will ask for a link to your video in the application form so make sure you have it ready. Your project must meet all the criteria for Energia Get Ireland Growing so please read it all before submitting your application. Community food growing has always been at the heart of GIY. Over the years GIY has offered practical advice and moral support, but to do great community work requires resources. Mugs of tea can only fuel so much. Clearing space for an inner-city community garden, putting a polytunnel on a school roof or creating a pond at an allotment needs more than moral support. As resourceful as community groups are, nothing beats getting help and support financially. And it also come with a massive ‘you can do this, we support you’ which is such a great feeling. The last date for applications will be accepted is Friday, January 25th, 2019 at 5pm. We wish all entrants the very best of luck. We’re rooting for all of you. And as always, if you need any other information from GIY then please get in touch by emailing me or ringing the number below.